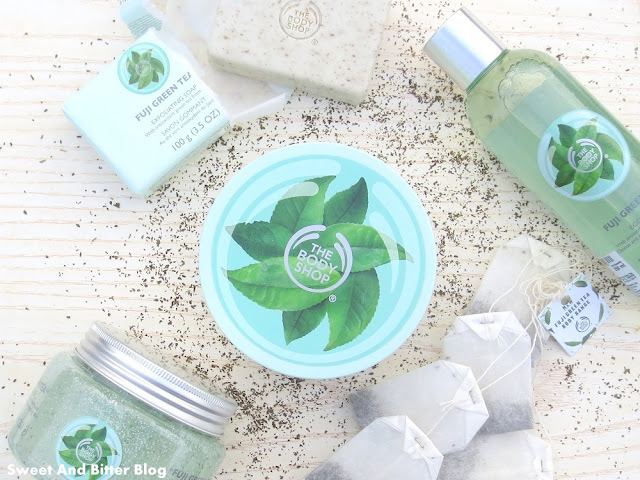 The Body Shop Fuji Green Tea Body Scrub (Rs 1295 for 250ml) for is the visually most attractive product. The packaging is completely different from other body scrubs. The tin cap and the transparent tub gives a very sophisticated look. 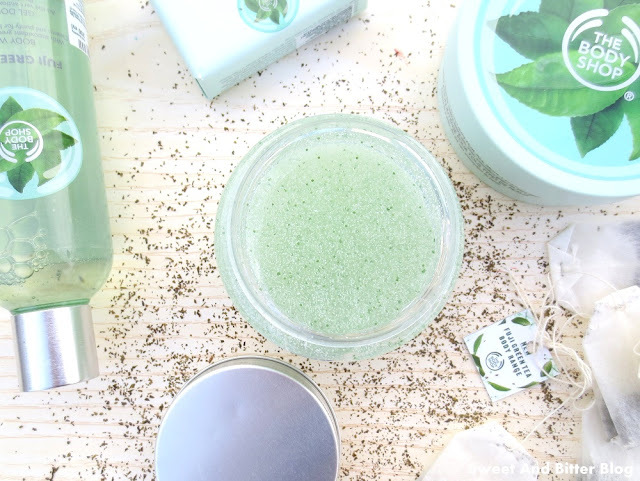 The scrub is gel based with green round beads and white flakes suspended in it. The scrub (unfortunately), is too gentle and does not exfoliate properly. In fact, I tried it on the face and even then found it gentle (but drying). 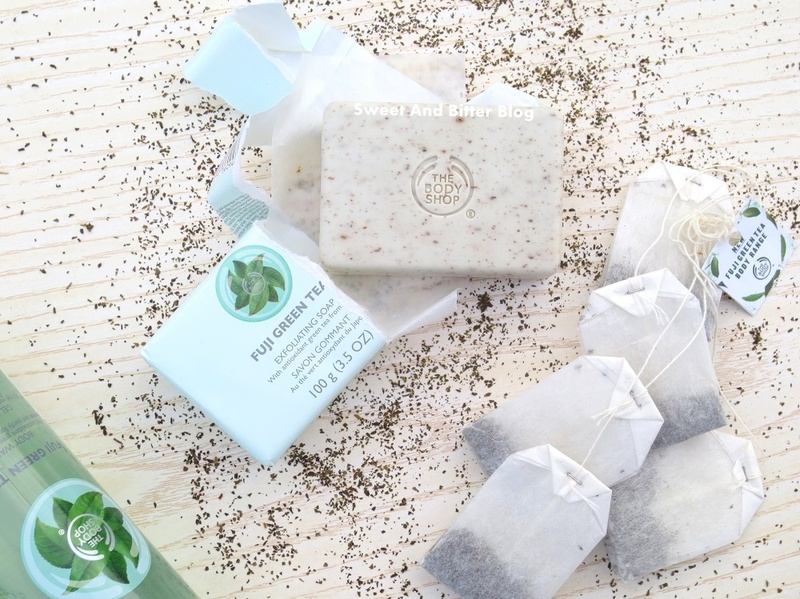 The scrub is just is a luxury product which can help you unwind. 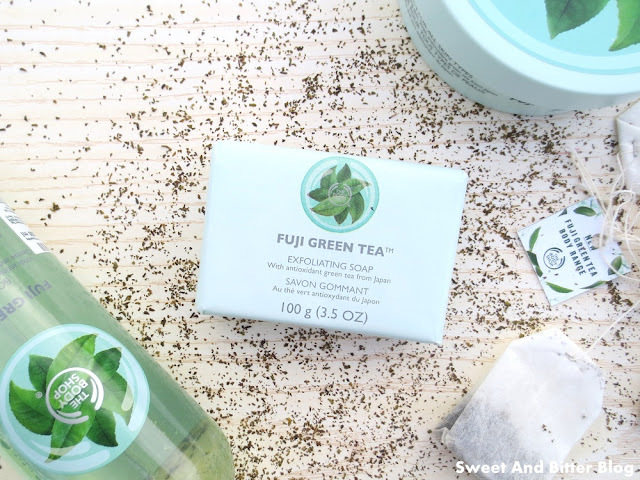 The Body Shop Fuji Green Tea Exfoliating Soap (Rs 595 for 100g) is also different from the rest of the soaps that TBS brings in the market. The soap has strong exfoliating beads, really creamy and lathers up a lot. It is bit drying and needs to be followed up with a lotion or cream. The Body Shop Fuji Green Tea Body Wash (Rs 425 for 250ml) is another great shower gel by TBS. 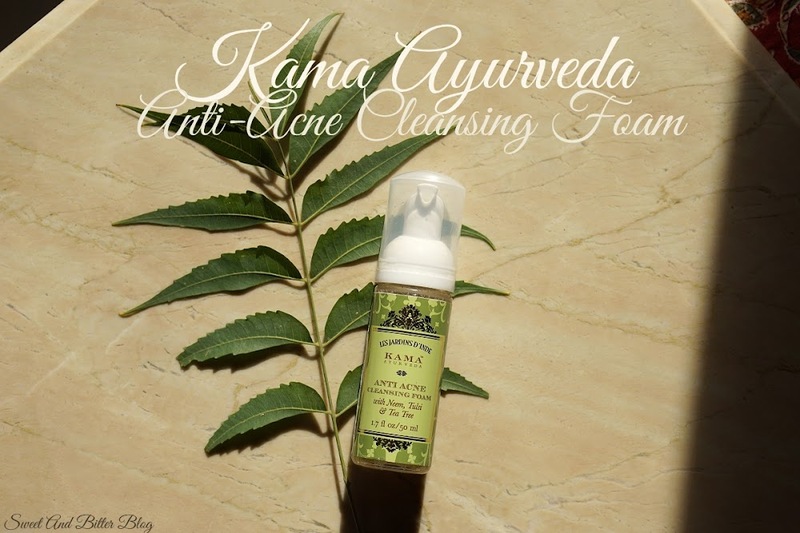 It lathers up into smooth, soft foams. If used with it loofah then even a small amount creates a lot of foam. The whole experience is great as the fragrant foam envelops your body. But, the smell does not transfer much. 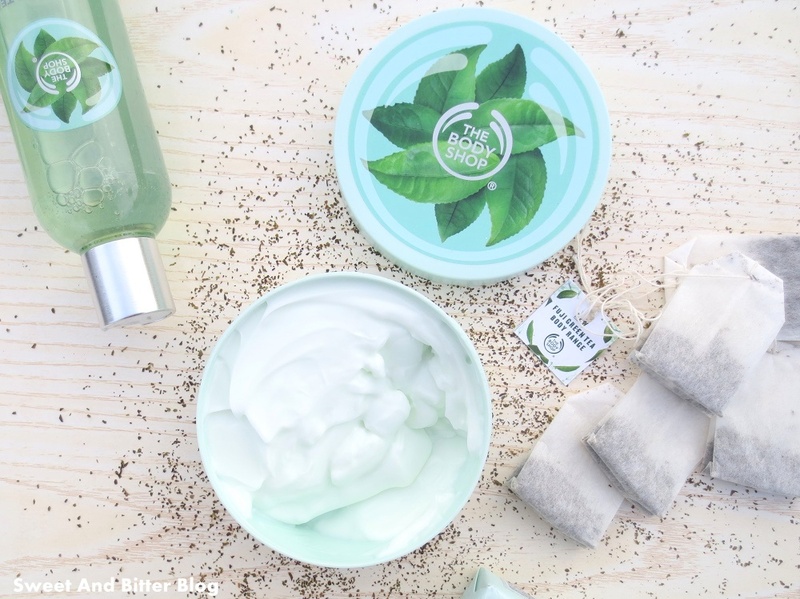 The Body Shop Fuji Green Tea Body Butter (Rs 1095 for 200ml) is the lightest of all the body butter I have tried from TBS. In fact, it is just like a thick body lotion. You can confidently skip the lotion and get just this. 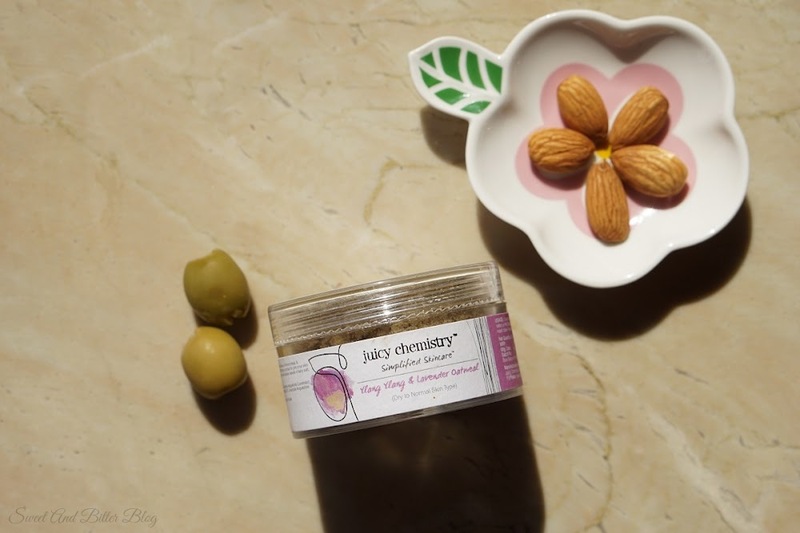 The body butter seeps in quickly and makes skin smooth. The smells last for long as well. When used after shower after using the bath products from the same range, the fragrance lingers even longer. 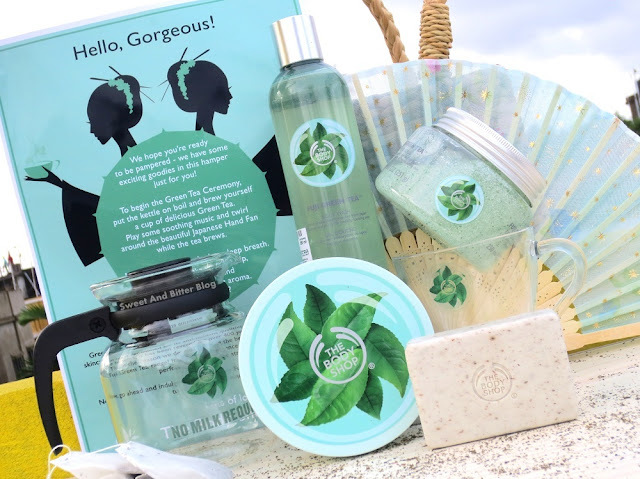 If you are looking for relaxing, then you should try this range. 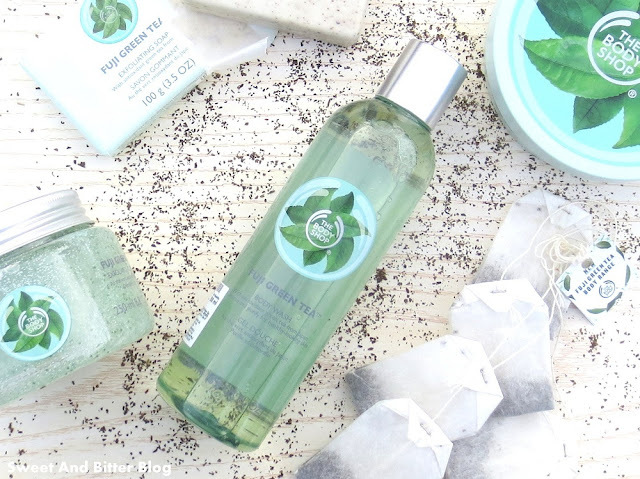 If you like Elizabeth Arden Green Tea, then you should not miss on this range. I won’t tell you to get the complete collection. 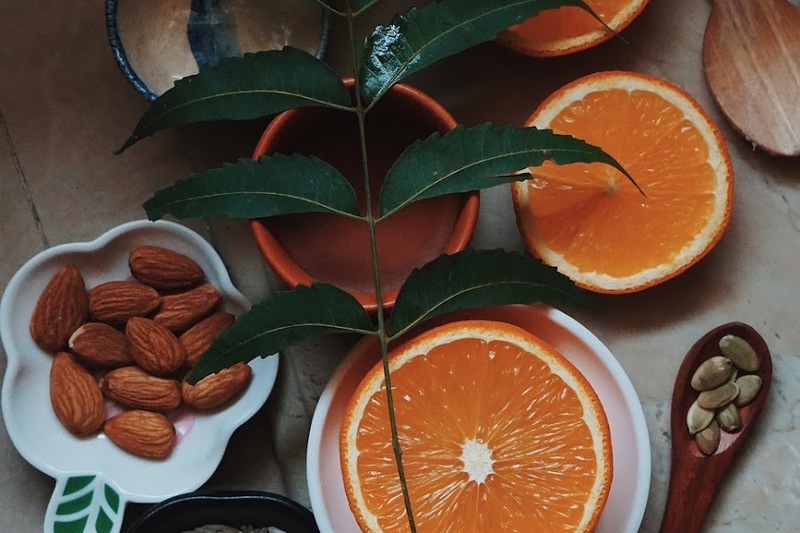 Instead, pick those products that you will use the most like the body wash and body butter. In fact, you can even try the exfoliating soap as it is something different and good. Layer both of them together for a longer feel of the refreshed green tea. If this impressed someone who does not like to drink tea (me! ), then it will surely impress you.